Today I am going to Review Vaddi Herbals Foot Cream. I have purchased this through online store called Urban Touch. I always prefer herbal products mostly. I got a chronic Crack on my feet that gave painful heels always recently. I was thinking of applying a Foot cream. But, I was in dilemma to select the brand. 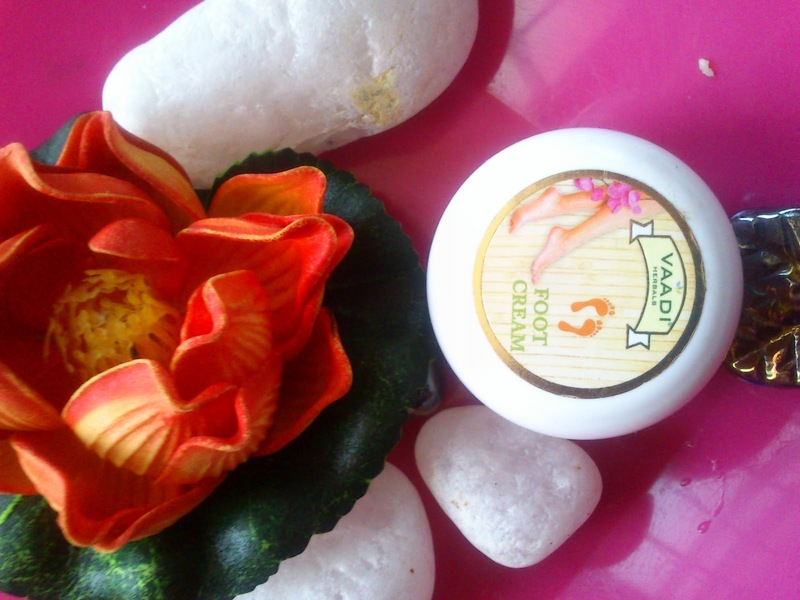 When I searched Urbantouch online store, I got this Vaadi Herbals Foot cream. I have ordered this with other products. Sandal Wood removes dark patches and Pigmentation marks. Clove oil disinfects Feet by killing Bacteria and fungai. Cocoa butter and jojoba oil deeply miosturize your feet making them soft and supple. It comes in a small cute package and very handy to carry around with us. 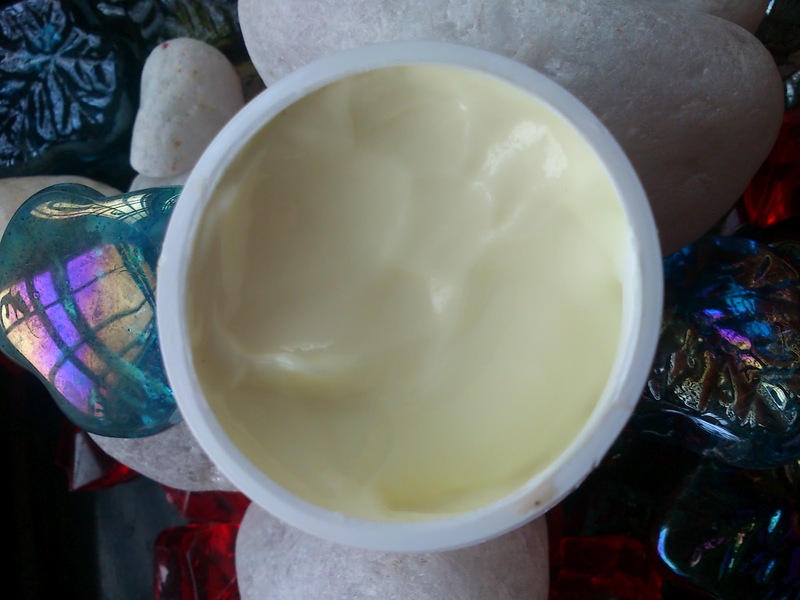 This cream looks pale yellow in colour. I like the smell of this cream it is very sweet and herbal fragrance. The clove smell is the dominant smell I think. I am little lazy to do pedicure process in the home like taking hot water feet soak and rubbing it by pumice stone etc etc...hehehe. So, I just applied this Foot cream Morning and Night before bed after washing my legs. Immediately after application my Feet looks Moisturized well and looks shiny. The cream is thick and it is moisturizing the dried Feet very well. My opened cracks took this cream inside well. Day by day my Cracks reduced and after one month it is 95% cured. Note that I did't took any pedicure process, Just washed the feet and applied. Someday I forgot to apply too. Still my feet crack results are wonder!!! I am going to finish the 2nd one. I am addicted to the foot cream and stocked so many. 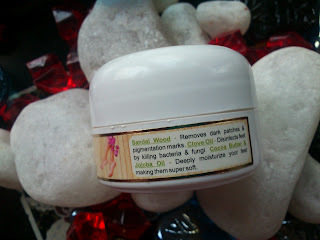 This cream is best option for winter and those who have dry cracked heels. Foot creams are very important to maintain a soft and smooth feet. The clove in this foot cream acts as an anti-bacterial agent. After applying this cream, if I wash my feet the moisture remains same as applied. It has great moisturizing power. Very handy can carry around with you. Very cheap compares with its results. Very strong smell, after washing your hand also will stay on your hands for some time. Have to clean your hands well before taking the cream from the container. Not working on my dark marks on the Feet.